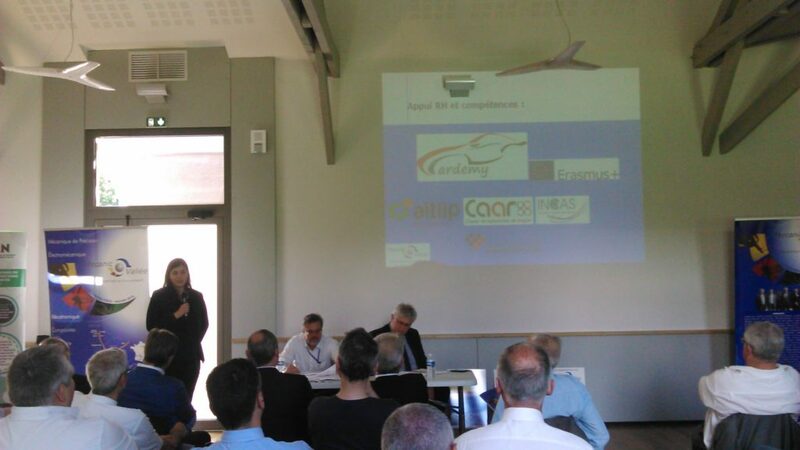 The 1st of June, Mecanic Vallee held its annual general assembly at Saint-Céré in South West of France. More than 80 members gathered for this meeting. After visiting FIVES MACHINING facilities, Mecanic Vallée presented its activity report about year 2016 and projects for 2017. It was the opportunity for Mecanic Vallee to present CARDEMY project to its industrial partners, its objectives and expected results. Partners of the cluster then elected the new president. Indeed, after a beautiful three-year term, Bernard Dalmon handed over to Jean François Chanut, president of UTAS RATIER FIGEAC. The latter has expressed his wish to continue work begun by the cluster, to amplify some of them and to initiate future missions, in tight collaboration with cluster’s members.